This type of event is similar to what you may have seen on TV. It entails driving over a series of tracks or courses called special stages against the clock and the winners are the crew who covers all the stages in the shortest time. This is a very simplified view of what can be quite a complex form of motor sport. The descriptions that follow are for club level rallying, rather than the World Rally Championship (WRC) variety, which must be viewed as the Formula 1 of the sport. The events can be varied but fall into two basic categories. One is where the event is based at a single venue and all the stages are held within the confines of that venue. This usually entails 6 or so stages around various courses, which are generally tarmac, some of this can be fairly rough. The other type is where the stages are spread apart usually on forest tracks and linked by road sections. The surface on this type of event can be tarmac but is more usually gravel. It is quite common for stages to be used more than once in an event often run in opposite directions to provide some variety. On both types of event a co-driver is carried, and although pace notes in the style of a WRC competitor are generally not used there is plenty for them to do. For drivers a valid driving licence, club membership card and a non-race National B licence, which costs £34 from the Motor Sports Association (MSA). 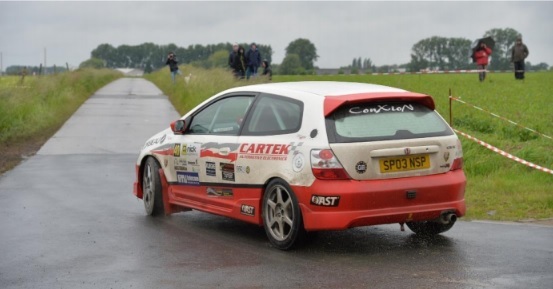 However before competing there is a requirement to have completed a recognised British Association of Rally Schools (BARS) training course, which will push the first year costs up to around £200. For navigators a club membership card, and non-race licence are required. 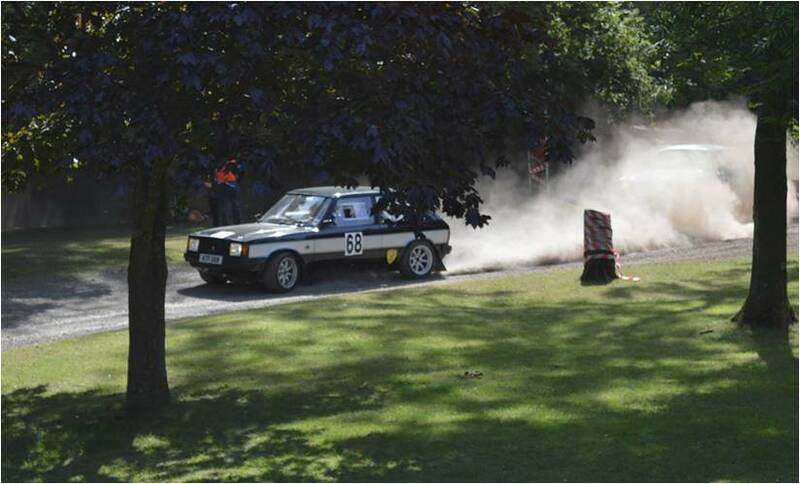 ​A far more specialised vehicle is required for this type of event, which requires a roll cage, extinguisher system and numerous other safety modifications. Cars used at single venue events are often taken by trailer to the event and may not require tax and MOT, but cars used for events linked by road sections must obviously be completely road legal. As with most types of motor sport there are various classes and the rules for the preparation of the vehicle can vary according to which class it runs in. Despite the above it is not unusual for competitive cars to be built in the garage at home, so they are not that complicated. MSA approved helmets and flame-retardant overalls will be required. 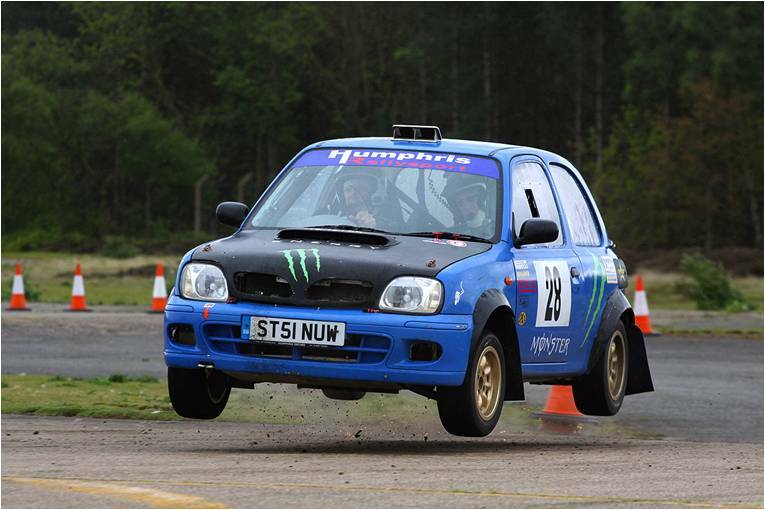 Entry fees are currently approximately £190 for a tarmac event and anything from £250 - £400 for a forest event. You will need enough petrol for about 100 miles. The down side - possible pitfalls. 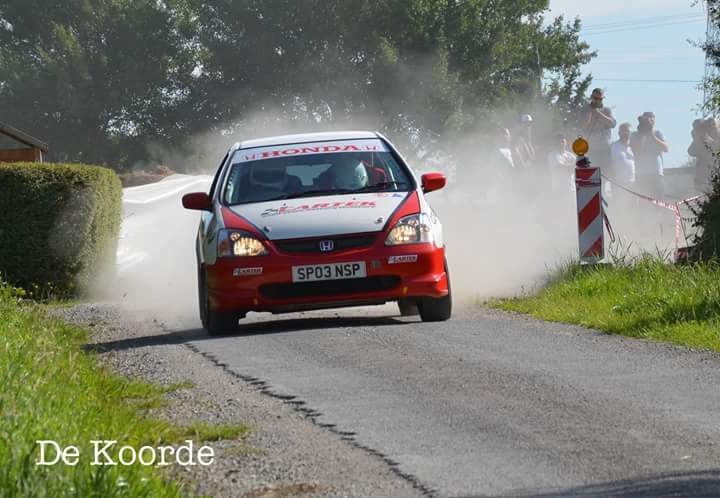 It tends to be a more competitive environment than other forms of rallying and as such can get expensive. You will be driving at high speed on less than perfect surfaces so an off could result in a fair amount of damage. It is common for minor damage to occur to the car, which will need to be repaired. Tyres can be expensive and do not always last very long. As with any form of motor sport, although they are rare, accidents can happen. You must be aware of the risks and accept them, if you are to compete.